His first since project since SANDAS in 2017. After dropping a number of loose singles throughout 2018 (including "Watery" and "Outstanding"), Sahbabii released his second project Squidtastic on Thursday. The full-length — which follows up his debut mixtape SANDAS — runs 12 tracks and features only two guest verses, both coming from collaborator T3. Squidtastic does not include any of Sahbabii's previously releaseed singles from this year. 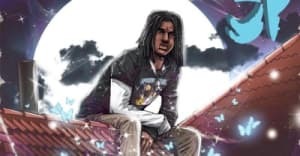 Sahbabii will spend the early part of autumn on tour with Atlanta rapper Young Nudy beginning on September 8.